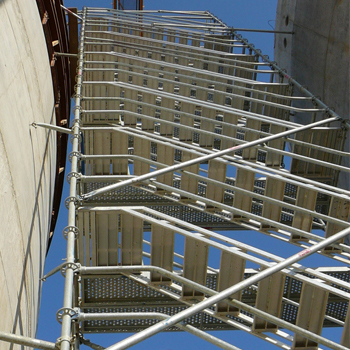 The design of the Access Towers is based on our Modular Scaffolding Meka 48 components, giving it versatility and allowing for easy handling and assembly. 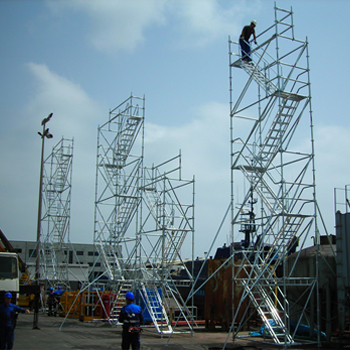 Our main options are the Access Towers with zigzag ladders that gives access to one level. 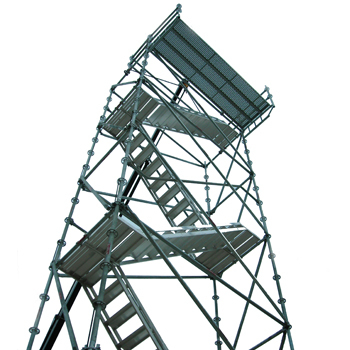 For access to various levels we have an Access Tower with parallel ladders and platforms. Technical specifications: Steel tube ø 48 mm. Grade St-44. All components are hot dip galvanized with a minimum thickness of 75 microns according to the European Standard EN 1461.